Posted on 28, March 2016 by EuropaWire PR Editors | This entry was posted in Defence, France, Management and tagged Gérard Frut, Herakles. Bookmark the permalink. PARIS, 28-Mar-2016 — /EuropaWire/ — The Board of Directors of Herakles, meeting today, decided to separate the functions of Chairman of the Board and Chief Executive Officer in order to address the company’s strategic challenges as efficiently as possible. The Board confirmed Eric Dalbiès as Chairman of the Board of Herakles and named Gérard Frut as Chief Executive Officer, effective today. Mr. Dalbiès retains his current position as Safran Executive Vice President, Strategy and M&A. Gérard Frut was named Deputy Executive Vice President for Strategy and Corporate Secretary of Herakles in 2012, when the company was formed through the merger of Snecma Propulsion Solide and SME (a subsidiary of SNPE). 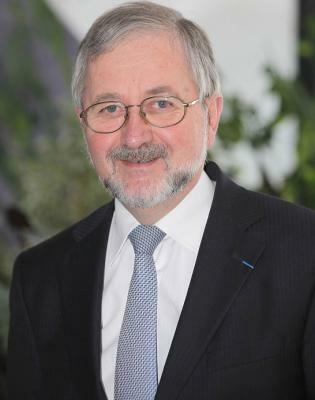 He started his career at SEP (Société Européenne de Propulsion, now part of Snecma) in 1974, first in the design department, then in the test department. He was named manager of the Pyrotechnics department in 1982, head of Tactical Propulsion programs in 1987, then Strategic Propulsion programs in 1993. In 1998 he was named deputy to the head of Solid Propulsion and Composites in Snecma Moteurs’ Rocket Engine division, then Vice President for Strategy at Snecma Propulsion Solide, a Snecma Moteurs subsidiary created in 2002, and Chief Executive Officer of G2P (a consortium formed by Snecma Propulsion Solide and SME). Gérard Frut, 65, graduated from the Sup’ Aero aeronautical engineering school in 1973.